Hinduism | ADULT CATECHESIS & CHRISTIAN RELIGIOUS LITERACY IN THE ROMAN CATHOLIC TRADITION: hosting ONLY True Christians!! !, or "How to think Catholic!!" Death is the end of man’s earthly pilgrimage, of the time of grace and mercy which God offers him so as to work out his earthly life in keeping with the divine plan, and to decide his ultimate destiny. When “the single course of our earthly life” is completed, we shall not return to other earthly lives: “It is appointed for men to die once” (Heb. 9:27). There is no “reincarnation” after death (CCC 1013). In the third century, Origen said reincarnation was “foreign to the church of God, and not handed down by the Apostles, nor anywhere set forth in the Scriptures.” There are several arguments that support the Church’s rejection of reincarnation. First, in the fourth century St. Ambrose of Milan wrote that it would be impossible that “the soul which rules man should take on itself the nature of a beast so opposed to that of man,” or that man, “being capable of reason should be able to pass over to an irrational animal.” In other words, the migration of souls between human and animals is as impossible as the procreation of bodies between humans and animals. If souls depart at different ages of human life, how is it that they come back again at one uniform age? For all men are imbued with an infant soul at their birth. But how happens it that a man who dies in old age returns to life as an infant? . . . I ask, then, how the same souls are resumed, which can offer no proof of their identity, either by their disposition, or habits, or living? Other defenders of reincarnation offer empirical evidence in the form of “past-lives” testimony. These testimonies, such as those gathered among children by the late psychiatrist Ian Stevenson, are not convincing. For example, many of the subjects of Stevenson’s interviews were children who lived in places like India, where reincarnation is widely accepted. This means that their stories were more likely the products of social conditioning than actual memories of past lives. One case involved an Idaho girl who at age 2 would point to photographs of her sister, dead from a car accident three years before she was born, and say “that was me.” The believer thinks the two-year-old meant: “I was my sister in a previous life.” The skeptic thinks she meant: “That’s a picture of me.” The skeptic sees the two-year-old as making a mistake. The believer sees her as trying to communicate a message about reincarnation. 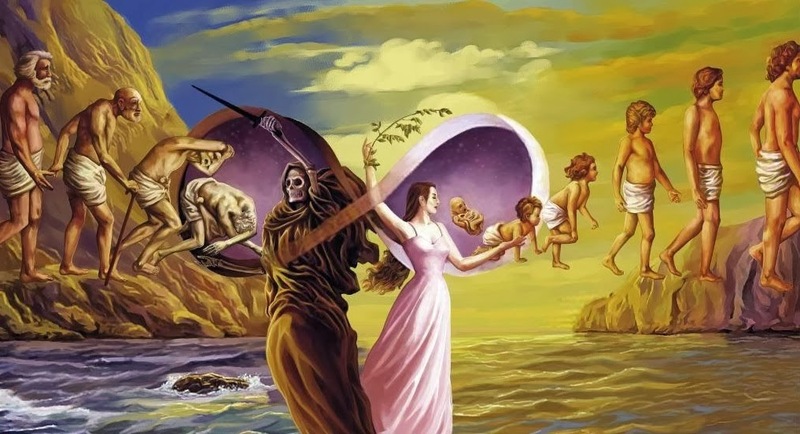 There is also a third argument against reincarnation, one that has been called “the population argument.” It relies on the claim made by proponents of reincarnation that new souls are never created or destroyed. Instead, souls are only “reborn” into other bodies. But, in Tertullian’s words, “If the living come from the dead, just as the dead proceed from the living, then there must always remain unchanged one and the selfsame number of mankind.” He noted (and modern science has confirmed) that there has been a “gradual growth of [the human] population.” This growth can only be explained by new souls coming into existence, and conflicts with the notion of the perpetual reincarnation of the same souls into different bodies.